Flight activity continued to grow in the world’s largest business aviation market in 2018 but at a slower pace, according to statistics from industry data provider Argus International. Last year’s activity rose by nearly one percent over 2017, topping the 3 million flight mark for the second consecutive year, while flight hours increased by 0.7 percent. Those proved less than the 5.5 percent increase in flight activity reported in Argus's TraqPak 2017 business aviation review. “The overall health of the industry I’d characterize as strong, but I’d hedge that statement to clarify that it's only in a regional sense,” said Douglas Wilson, president and senior partner of industry consultancy FBO Partners. He noted that while regional markets in the country and their FBOs are doing well, when looking at the national picture and averaging the strong markets with those lagging, the view dims somewhat. “Call it a low-grade fever at this point, annoying, but far from life-threatening,” he added. In its annual FBO fuel sales survey and industry forecast, released at the end of January, Aviation Business Strategies Group found that 75 percent of its respondents experienced positive fuel sales year-over-year, while 43 percent reported increases in transient ramp traffic. “For the third consecutive year, we’ve seen an increase in fuel sales by more than half of the FBOs responding to our survey," said company co-principal, and industry veteran John Enticknap. "This includes some standout fuel sales of more than 8 percent year-over-year, by nearly 20 percent of the FBOs reporting.” Nearly 60 percent of the audience predicted they would again increase their fuel sales over 2018’s totals. Yet survey participants were less bullish on the direction the economy was headed than they were in 2017, with 61 percent now taking a positive view, compared with 73 percent the previous year. 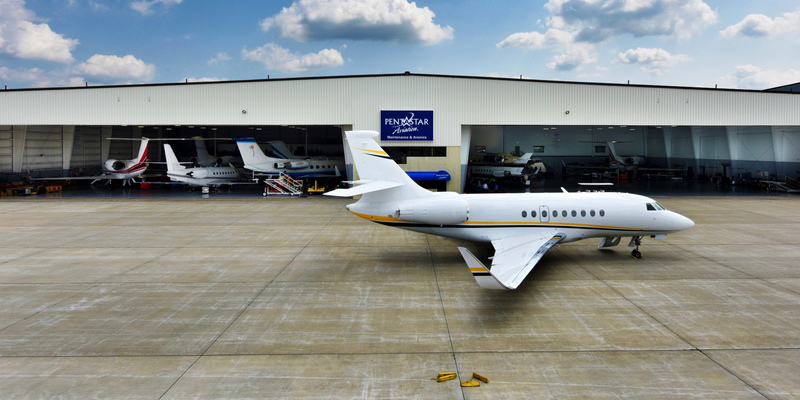 Longtime FBO operators such Jet Aviation have continued to expand, with the General Dynamics subsidiary adding several locations over the past year through its purchase of Hawker Pacific and KLM Jet Center. However, newcomers such as Lynx FBO (backed by Sterling Group private equity), Modern Aviation (by Tiger Infrastructure Partners), along with a once-again reconstituted Ross Aviation (KSL Capital Partners), provided much of the consolidation activity over the past year. These companies added four, three, and eight FBOs, respectively, to their networks over the past year. Indeed, that infusion of private investment capital has changed the playing field in the FBO industry. According to one expert, as a result of these companies' need to grow, they are paying price and earnings multiples that in many cases are more than double the valuation models that the industry has long followed. The FBO industry may soon experience a shortfall of general managers, according to Wilson, who cited many factors, including the pilot and mechanic shortage. “Years ago, many line service employees with hopes of becoming pilots one day found a home within the management structure of an FBO,” he said. With the airlines increasing demand for pilots, those individuals are earning their licenses and departing for the cockpit, rather than a corner office in the FBO.